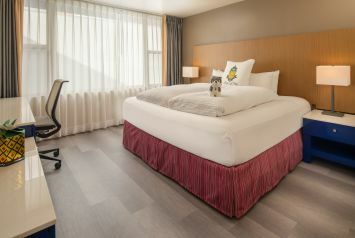 Whether you’re looking to have a relaxing weekend, catch your favorite band, or drink some local brews, our fluffy beds and modern amenities are ready for you. Think of it as if roses were rooms - ours would have all the beauty of a red Samurai minus the prickly thorns (uncomfortable beds) for you to live the lavish life you deserve. 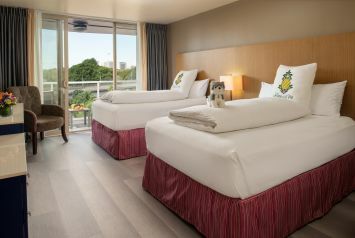 Enjoy not one but two outrageously comfortable double beds, a HDTV and a host of other extremely sweet perks. When you aren’t hanging out on your private patio you’ll be enjoying the best amenities our hotel has to offer. 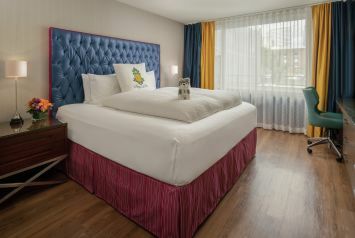 Explore the city with a friend then return to a room with all the amenities: deluxe bedding, HDTV, walk-in shower and more. 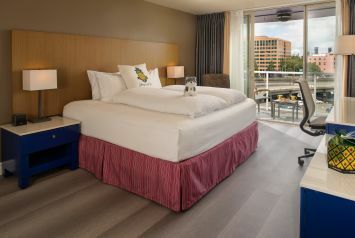 This amazing room boasts full views of the waterfront and fantastic amenities like a walk-in shower with rainhead. This well appointed beauty faces our colorful courtyard and offers wonderful amenities like a walk-in shower with rainhead. 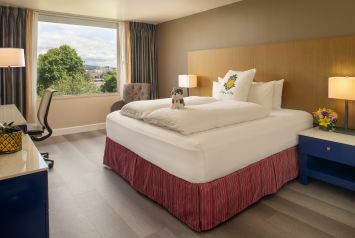 Enjoy a view of the Rose City while relaxing in style. 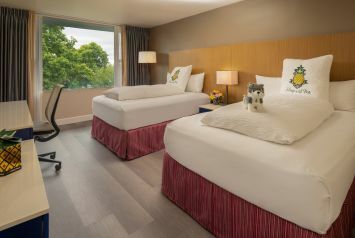 This room features a king bed and amenities to make your stay perfect. Did someone say “private balcony?” This oasis offers the best of amenities with a view and an outdoor space to match. Relax in style and have an amazing river view to boot. 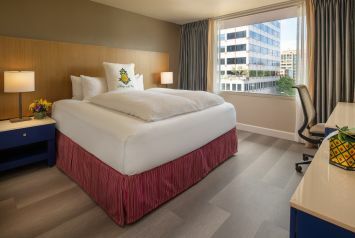 Your amenities include a luxurious king bed with luxury linens, and an HDTV. 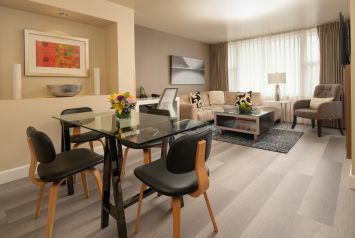 When only the best will do: designer décor, luxury furnishings, a dining table for four, two HDTVs and much more. 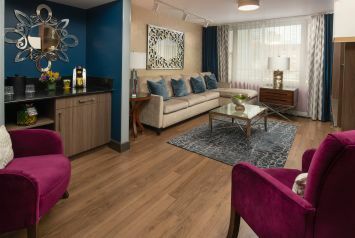 This well appointed beauty faces our colorful courtyard and offers wonderful amenities like a walk-in shower and added mobility and communication features. This well appointed beauty faces our colorful courtyard and features a bathtub, and added mobility and communication features.